Our standard tour allows you to explore the tunnel in an easy and enjoyable manner. 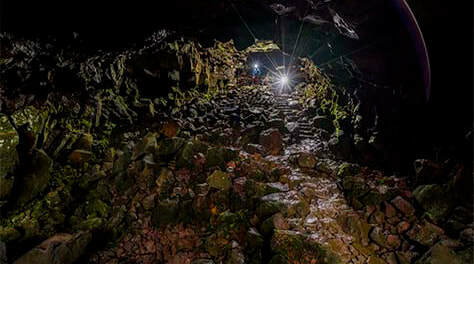 The tunnel is in many places covered in large rocks and difficult to pass. A footbridge and several paths have been built over the roughest terrain making the standard tour accessible by all. 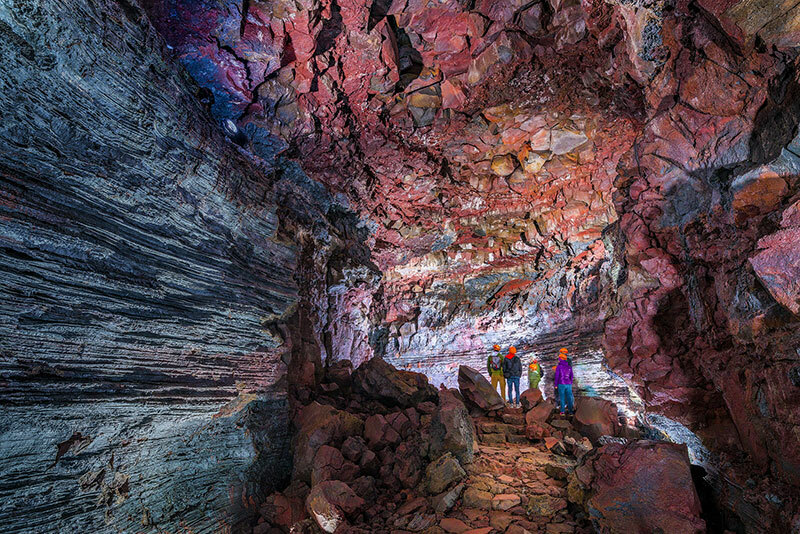 Impressive lighting in this part of the tunnel highlights the changing colors and clearly shows the powerful volcanic activity that formed the tunnel. ​This tour which includes transport has a daily departure at 09.00 and 13.00 from BSI bus terminal. Pick up from other destination is at least 30 minutes before departure. 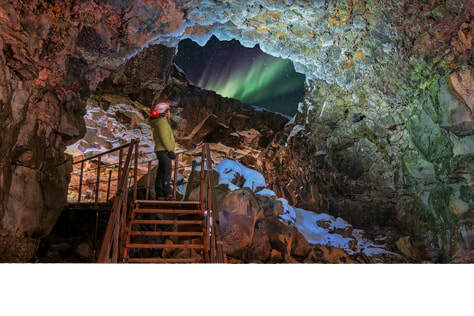 Each tour takes approximately 3 hours with 55 - 60 minutes inside the cave. ​Difficulty: 1/5 - For most people although we do not recommend to those that have difficulties with balance, difficulties walking on uneven surface or difficulties walking up or down steep stairs.